God made the oil, to keep us well. the idea that high cholesterol foods cause heart disease. surprisingly has little evidence to support it. 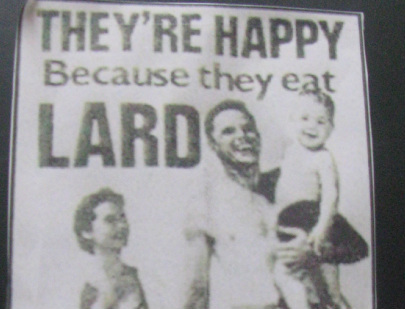 Heart disease was rare in the early 1900′s when our diets were much higher in animal fats. like refined sugars and white flour and from fructose. hydrogenated fats, and refined sugars in our modern diet. 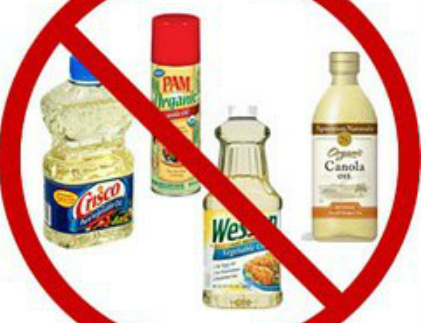 Don't eat cooked seed oils - which means ALL seed oils on the supermarket shelf..
as they are ALL heat processed. For cooking -use organic butter or ghee, coconut oil, macadamia oil or animal dripping/lard. WHY ? Because animal fats are not damaged by heat. 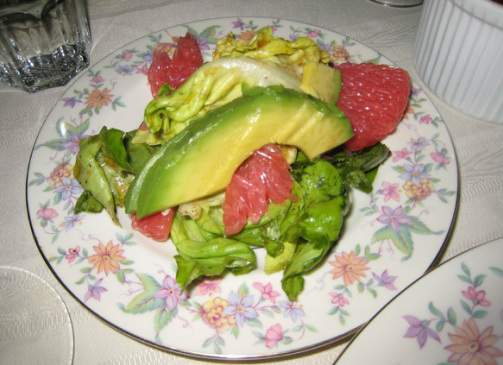 Use Pure cold-pressed olive oil/avocado oil etc for salads. Buy organic cold pressed oils - only in dark glass bottles. Why? because light makes oils go rancid/bad. it will truly open your eyes to the effects that the SAD, and a low-fat diet, are having on our bodies. The goals is to consume necessary fat by incorporating natural fats into regular meal plans by eating pastured/grass fed meats, hormone-free and full-of-all-its-natural-goodness unprocessed dairy, and other natural, minimally-processed fats like olive and coconut oils. are necessary omega 3 fats/cholesterol that we need for good health. We feed lard/fat to birds quite happily, we know it is good for them. For a start - avoid all hydrogenated oils, found in bought goods eg crackers and bread. Macadamia Nut Oil is the new Olive Oil. It's got a high smoke point, it tastes amazing, has low omega-6 fatty acids, is high in palmitoleic acid. Macadamia oil is widely regarded as one of the healthiest edible oils in the world and is higher in monounsaturates (83%), the goods fats, than Extra Virgin Olive oil, important in lowering blood cholesterol. The oil can be cooked at very high temperatures 210°C /410°F and it doesn't lose any of its subtle nutty taste and important health characteristics. It also has the most balanced ratio of Omega 3 to Omega 6 fatty acids of any oils. Macadamia oil contains no trans fatty acids. It is by far, the highest in PUFA of all cooking oil. Which is why I recommend avoiding it entirely. Excessive PUFA consumption, omega-6 in particular, causes serious inflammatory damage. Industrial PUFA oils contain tons of free-radicals, which are compounds that attack cell membranes and red blood cells, causing damage to DNA and RNA strands, and leading to cellular mutations in the body’s tissues. This leads to premature aging, plaque buildup in arteries, and even the formation of tumors. Just like you can’t eat only one type of plant to get your veggies in every day, you also can’t eat one type of fat. such as corn, soy, canola, sunflower or safflower. 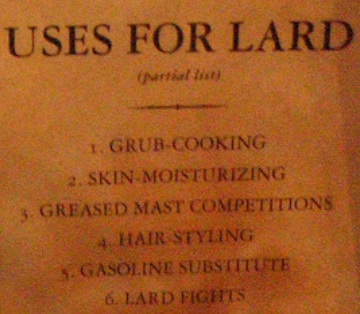 Your animal fats should only come from clean, pastured sources. ie only eat grass fed animal meats, for animals fed on grain are fed damaged oils. or low-fat diets - switching over into a high fat diet can’t happen overnight. can actually exacerbate existing conditions. If you’re in that camp, take your time and ease into a higher fat diet. (PS - we MUST begin consuming good fats - because when the body is badly lacking essential fatty acids. eg arthritis, MS, and other auto-immune conditions. Honesttogoodnessliving.com/Fat is your friend: Why you should unfriend the low-fat diet? TIP-apart from fats being necessary- Fats curb appetite for sugar. Omega-6 Overload: Too Much of a Good Thing? People think ALL fats fall into the category of bad. So they falsely believe low fat products benefit health and weight loss. and I am healthy and fit. Good Fat satisfies the appetite. The mis-comprehension about the link between saturated fat and heart disease is misleading. We need to educate people about the true benefits and necessity of "good fats." reduce grain intake, consider going gluten free. Eat vegies, make vegie juice, increase Omega 3/essential fatty acids. + Go to a Health shop and ask for a natural hormone supplement, they work very well. 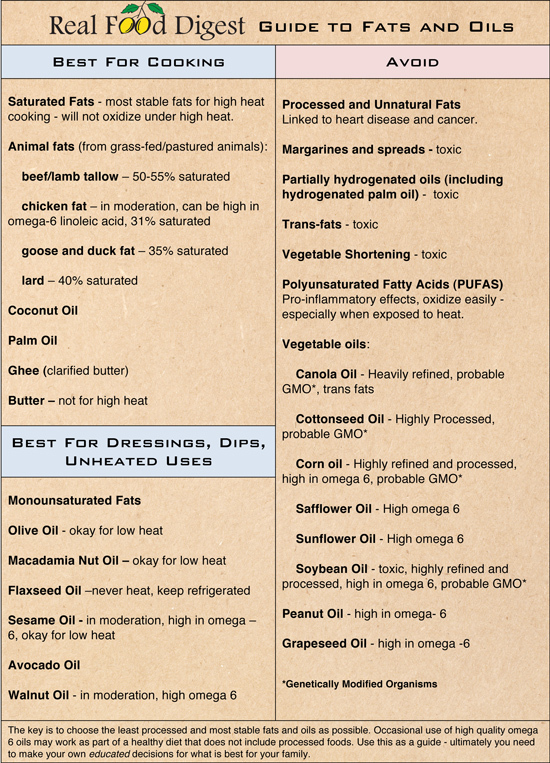 Do yourself a favor, avoid all supermarket oils, except for coconut oil and ghee! Ghee is better as it is clarified butter.- the 'bad' is cooked out. Make ghee by buy baking unsalted butter, bake it for about an hour, keep and use the golden oil. add your own Natural celtic seasalt or Himalayan salt. Use dripping, lard for baking savoury foods..
consuming trans fatty acids/heated oils “Affects immune response by lowering efficiency of B cell response and increasing proliferation of T cells.” This decreases the body’s immune response." ‎"Since omega-3 fats must come from our diets, the amount we can store in body fat depends on how much we can get from the food we eat. Unfortunately, American women (and men, and children) are now seriously deprived of omega-3 fat. Food companies eliminate them from products in order to extend shelf life. and undermines our ability to get enough omega-3. Most omega-6 fat comes from chemically processed oils extracted from soybeans and corn. Further, feeding farm animals corn instead of allowing them to graze on their natural diet of grass (rich in omega-3) also increases omega-6 while reducing the omega-3 in meat, milk products, and eggs. and for over 95 percent of human history, they were in balance. But our diets now supply 20 to 25 times more omega-6 than omega-3! American mothers rank near the bottom in the DHA content of breast milk. They also rank poorly in the DHA content of body fat. a woman today needs more pounds of that low-DHA body fat. and 40 pounds more than Japanese women of the same height." •	Always contains preservatives and additives to enhance flavor and extend shelf-life. and the fat usually refered to is saturated fat, which is the BEST type of fat. In other words, when you see “fat-free” think, 'this is most likely loaded with chemicals'. to forgo butter and lard for cheap, factory-made heated oils loaded with trans fat. coconut oil is solid when cold and liquid when warm-saute foods, add to smoothies and any cooked dishes, make raw recipes with it, use it as a base for cheesecakes and slather it on your skin, teeth, hair etc. It is truly a WONDER food. Are you including RAW COCONUT OIL in your diet? I use organic coconut oil in many of my raw and cooked recipes. is that it has more of a butter consistency at cold temperatures and turns into an oil when heated. Coconut oil is naturally stable, and is the only oil that is not adversely altered by heat. It can be heated to extreme temperatures and does not go rancid. It also does not raise cholesterol levels. The really good organic coconut oil or butter is produced within an hour or two after opening the coconut. The oil is extracted using Direct Micro Expelling (DME) equipment and preserves the natural flavour and aroma of the coconut. Make sure you buy fresh unrefined coconut oil to cook with. Any product that smells toasted or rancid needs to be discarded. Coconut oil is high in health promoting plant based saturated fat, and has both short and medium chain fatty acids which break down very quickly and are necessary for the proper utilization of omega 3 found in flaxseeds . Long chain fatty acids have to be broken down through the liver bile process. Whereas the medium chain fatty acids found in coconut is readily available through the small intestine as energy. Coconut butter is absolutely loaded with antibacterial and antiviral properties. It has lauric acid, which has a powerful antiviral effect on the body, and caprylic acid, which is a potent anti-fungal. Coconut oil is fantastic for boosting immunity and staving off illness. If I am around anyone who is sick, I consume huge amounts of coconut and it never fails me. Studies have linked coconut with weight loss. 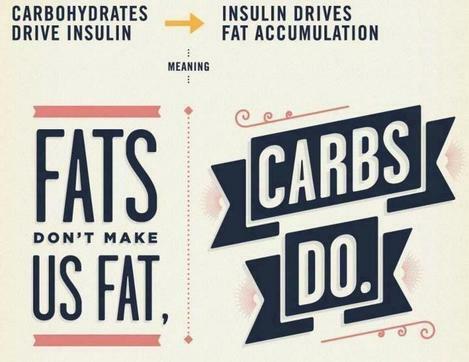 There are two types of fat in the body. Brown fat and white fat. Brown fat sits around the internal organs. Brown fat burns white fat. 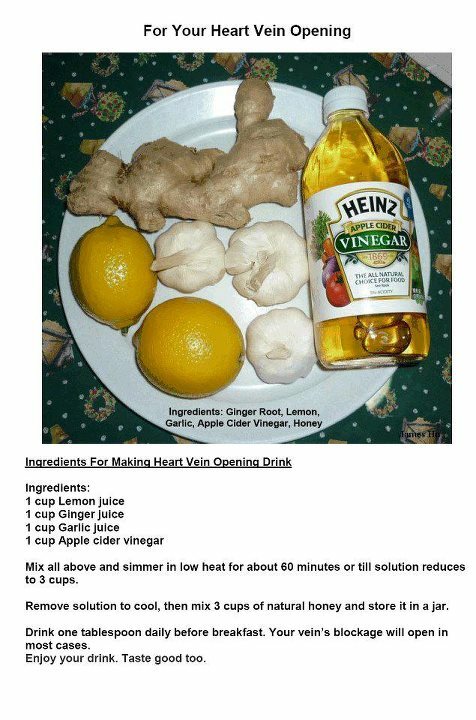 to activate the thyroid and the brown fat which helps to lose white fat. Unrefined coconut is also a fantastic natural body moisturiser! I only ever use organic cold pressed coconut oil to moisturise my skin. It feels fantastic and smells absolutely divine! or Top quality extra virgin cold-pressed olive oil. Use extra virgin cold pressed oils for salads. are essential fatty acids- necessary for good health. And 1 Tbslpn Flaxseed/linseed oil per day. and for more help with digestion eat with tspn Applecidervinegar in cup of water. 1. Dr Mercola.com/what to eat/do to-burn-belly-fat. 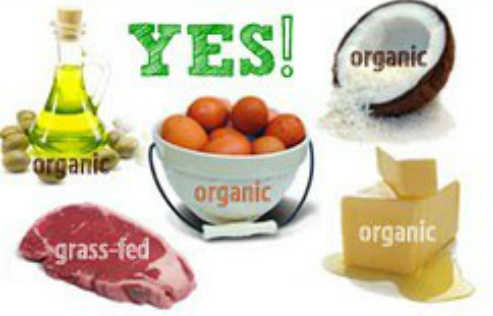 Choose “real food” fats, and avoid the modernized, industrial and processed fats. Contrary to popular thought, fat isn’t the enemy. Modern nutrition has villainized fat in many ways, with increasingly disastrous results. desperately need good fats in particular. -vitamins are necessary for hormone regulation, reproduction, immunity, bone health and much more. so don't become oxidized and turn into cell-damaging free radicals (as polyunsaturated vegetable oils do). Many fats contain anti-oxidants that protect against free radical damage and weakening arteries. They are the building blocks for cell membranes and a variety of hormones. and also help us to lose weight or maintain a healthy weight. *Sources can be found in this post. but did you know that eating fat doesn’t make you fat? - is the recipe for gaining weight. Out of control portions makes it worse. is what is causing obesity. -- Not saturated fats. to know which ones we really should avoid and which ones we should embrace in a real food diet. but INDUSTRIAL FATS ARE BAD. Real Food for Mother and Baby. That might sound simplistic, but it actually can be as simple as that. Eat real, old fashioned, traditional fats. Ones that our grandparents and great-grandparents would have recognized and used. Avoid new, refined, processed, industrial fats. So which ones are which? Which fats are “real food“? Extra virgin olive oil - raw-cold pressed, high quality. Oil products -Cool Whip, International Foods, coffee flavorings, etc. 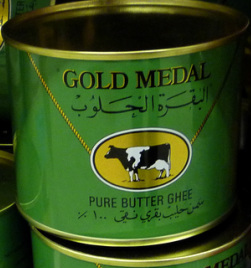 Butter (Ghee is even better): for baking, also good for frying, sautéing, as well as eating cold on breads, etc. Coconut Oil: Frying, roasting, baking, and use cold -in raw desserts, in smoothies, etc.) enjoy it as its very beneficial for the stomach/candida/thrush etc. and excellent for skin, babies, or deodorant. use for Frying, sautéing, roasting, grilling, baking, and cold use (salad dressings, dipping bread, etc.). I was previously unsure of frying with EVOO, but this post and video changed my mind. Animal fats like Beef Tallow , Pork Lard, Duck fat: Deep frying, roasting, anything high temperature (like homemade french fries or summer favorite, deep fried zucchini sticks). Lard is also good for baking flaky pastries and crusts. Save bacon grease and fry best eggs.ever. Palm Oil/Shortening: Great for baking, esp as dairy-free substitute for butter- use for frying, roasting, etc. Unrefined organic linseed/flax, sunflower, walnut, avocado, grape seed oils: Cold use only ie. 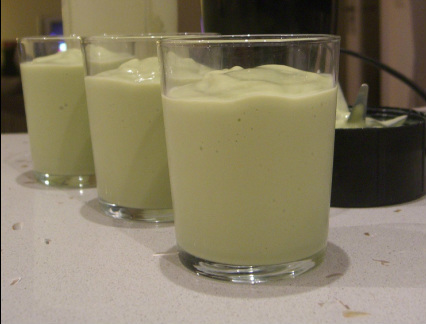 Salad dressings, homemade mayonnaise. Cod Liver Oil: or deep sea krill oil - One of the few supplements recommended. Don’t cook with it, but you and your family - take it by the spoonful. it’s hard to be convinced and get over the fear of fat that our society has developed. Read up on the subject, ask good questions and dig in for yourself. Good Fats, Bad Fats, and Why I Eat Plenty of Butter. and books for you to learn more about this topic. The book Eat Fat, Lose Fat by Dr. Mary Enig and Sally Fallon. 2a. The need for need Astaxanthin. Omega-3 fats are important component of cell membranes, which help shuttle molecules into and out of your cells, so if deficient in these fats, you have higher risk for developing system-wide health problems. The only kind of krill oil recommended is from genuine Antarctic krill. Only buy cold-processed, which preserves its biological benefits. Make sure that hexane is not used to extract the oil from the krill as some of the most popular krill oils on the market use this dangerous chemical agent. It should also be free of heavy metals, PCBs, dioxins and other contaminants. Make sure it is harvested in compliance with international conservation standards. and should be avoided at any cost. 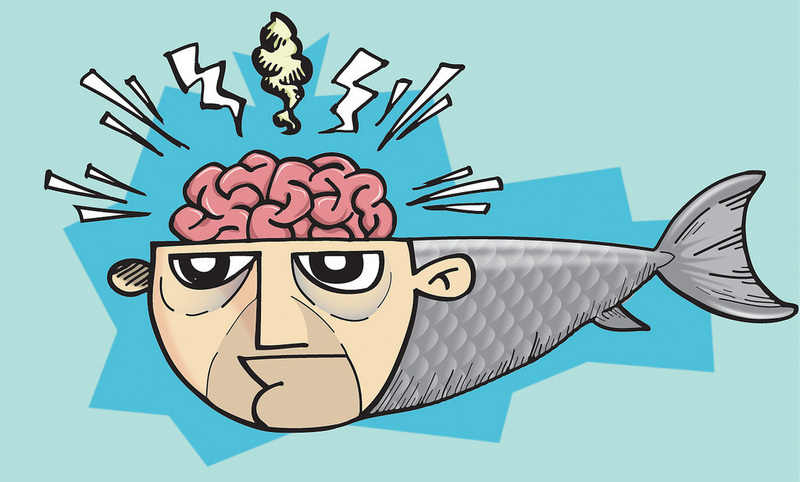 High levels of omega-6 can block omega-3 usage. 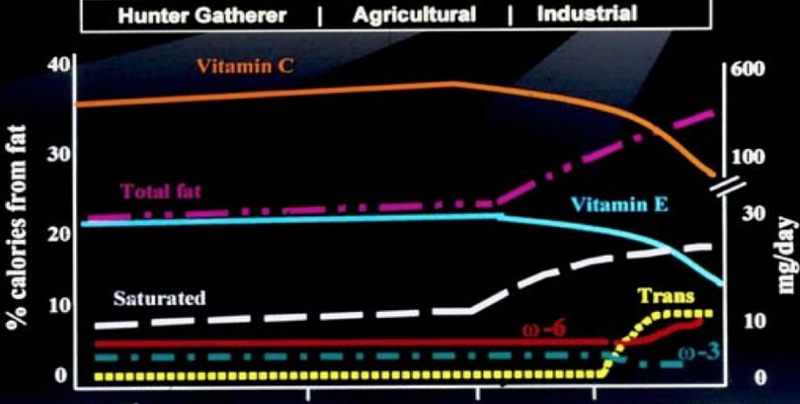 Note how essential omega 3 is down, while omega 6 especially trans fats/bad fats are leaping up. and causes metabolic syndrome or pre-diabetes. That is the true cause of most heart attacks, -----NOT LDL cholesterol. First of all, let’s take a look at what cholesterol actually is. It’s a fatty substance produced by the liver that is used to help perform thousands of bodily functions. testosterone, estrogen, progesterone and cortisol. So if you think cholesterol is the enemy, think again. Without cholesterol, you would die. In fact, people with the lowest cholesterol as they age are at highest risk of death. Under certain circumstances, higher cholesterol can actually help to increase life span. Eat a balance of high quality fats and cholesterol. 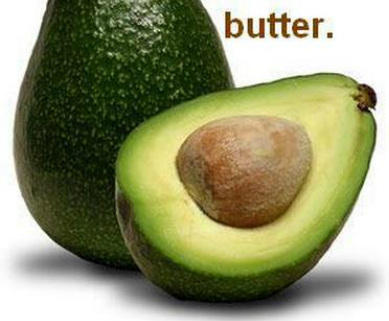 Consumption of high quality fats optimizes the absorption of vitamins A and D into your bloodstream. and readily able to absorb minerals in the foods that you eat. without including healthy fats in your diet. then you must eat the type of fats that actually comprise the make-up of the body. Stop the sugar! Eat good fats. Save your brain /your heart / your life. that is able to optimally absorb minerals into your bloodstream. so that sunlight has enough cholesterol to act on to produce vitamin D.
it makes sense to ensure adequate cholesterol levels via intake of healthy cholesterol. 1. Why should you use coconut oil for cooking? 2. Pour in small container, freeze until solid. add to steamed vegetables, baked sweet potatoes etc. like elevated cholesterol, obesity, heart disease and Alzheimer's disease. and even compared to modern-day primitive societies using saturated fat as a dietary staple. have all shown nearly non-existent rates of cardiovascular disease? even among health care professionals. through the man-made process called hydrogenation. producing a rancid, thickened oil that really only benefits processed food shelf life and corporate profits. that hydrogenated vegetable and seed oils should be avoided. and no doubt you've heard about them lately. Some cities and states have now outlawed their use. There is no controversy anymore regarding the health dangers of these artificially saturated fats. These are the same damaged trans fats that have been touted as "healthy" and "heart-friendly"
for the last 60 years by the vegetable and seed oil interests! and vegetable oil shills told the American public for the last half century. 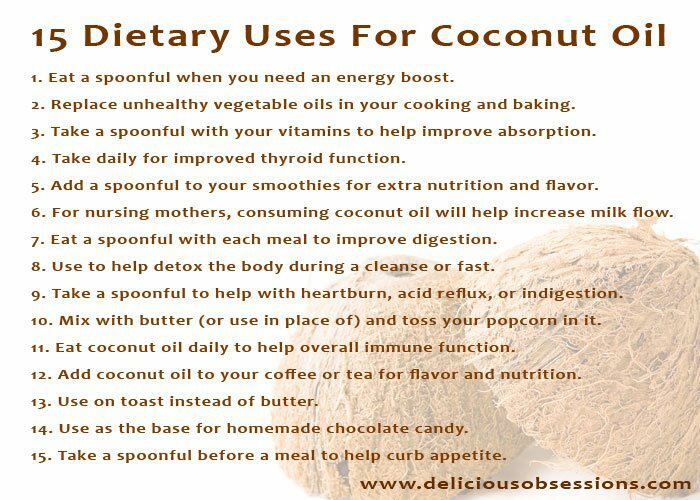 where coconut has been a nutritious diet staple for thousands of years. examining traditional diets and their effect on dental and overall health. despite the high fat concentration in their diet, and that heart disease was virtually non-existent. The only other source of lauric acid is human milk. begin with less by combining 1/2 coconut oil with virgin olive oil or ghee. put lid on and it's cooked in 5 mins. Contrary to popular belief, avocados are not fattening. are only some of the many health benefits that avocados have. • Avocado’s always make the list of the top ten super foods established by so called experts. Your skin can also benefit from a regular serving of guacamole. Natural oils in avocados perk up a poor complexion, make brittle nails strong again and improve dry skin. because they will in turn stimulate the growth of new hair. 1/2 cucumber, sprigs of parsley, cress, mint, spinach. pineapple - drain the juice first. add natural seasalt while hot. 2: Milk solids burn when using butter for frying or roasting -.& frying in olive oil, scorches the oil- detrimental to health. So use ghee for buttery taste without burning or oxidizing fats. Oil processing starts with the crude vegetable oil and produces various oils, margarine, shortening and so forth. Don't forget these oils start out loaded with pesticides. taking all the nutrients out, filtering, and removing saturates to make the oils more liquid. They also add a hexane solvent in order to squeeze the very last drop of oil out of the seeds. Caustic refining refers to very alkaline, very caustic chemicals that are added to the oil. Margarine processing uses the cheapest seeds, and most of them are full of pesticides and genetically engineered. Oil is extracted under high temperature and pressure, and the remaining fraction of oil is removed with hexane solvents. Then they steam clean the oils to remove all the vitamins and all the anti-oxidants, but of course, the solvents and the pesticides remain. These oils are mixed with a nickel catalyst and then put into a huge high pressure, high temperature reactor. Emulsifiers are mixed in. What comes out of that reactor, actually, is a smelly, grey type of cottage cheese. Then they mix in the emulsifiers to smooth it out, and steam clean it again to get rid of the horrible smell. Then they bleach it to get rid of the grey colour, and they add artificial flavours and synthetic vitamins. 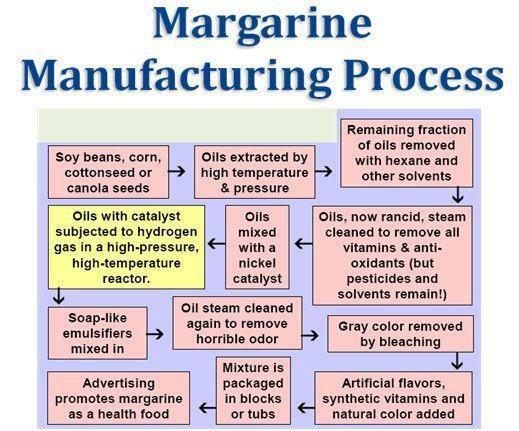 Actually they are not allowed to add a synthetic colour to margarine. They have to add a natural colour, so they add anatto or something natural. It is then packaged in blocks and tubs and then advertising promotes this garbage as a health food. Saturated fat is the type of fat found in lard or butter. It is a straight molecule and it packs together easily. That is why it's solid at room temperature. Unsaturated fat, like the type of fat found in olive oil, is a bent molecule. It has a little bend with two hydrogen molecules sticking out. it makes an electron cloud and that is where your body makes reactions in the cell membrane. and it causes the molecule to straighten out so that it behaves like a saturate. and then it becomes a 'transfat,' a transfatty acid because the two hydrogens are across from each other. so when you eat one of these transfats, or transfatty acids, they become built into your cell membranes. because it wants to make reactions where those two hydrogens are and it can't find them. the more hydrogenated your cells become and the more chaos that you are going to have on the cellular level. and your body puts it in a cell, and then the cells can't work. All of the margarines, shortenings, spreads, even low trans spreads are made with all these horrible ingredients. because all the low profit margarine foods have totally invaded the food supply. You cannot buy any packaged or processed foods that don't have these transfatty acids in them. They're in all the chips and crackers, and they now use them for french fries. They used to fry the fries in tallow which is a very safe fat, and gave a little extra profit for the cattlemen and they have lost that market now. Now they use partially hydrogenated soybean oil. at least they had butter, eggs, cream and nuts and things, all these good wholesome foods. 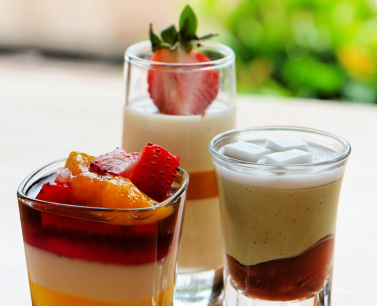 and artificial things in these instant puddings and artificial desserts. (that is why we have so many hip replacements today) . and the suet are bad for us and cause heart disease. And that is nothing but industry propaganda to get us to buy substitutes.